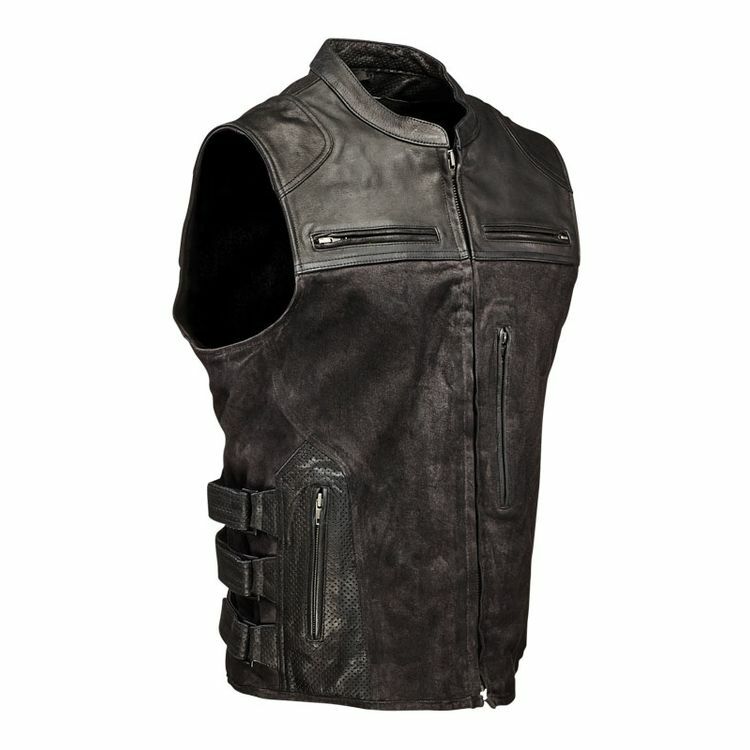 The Speed and Strength Tough As Nails Vest is comprised of both leather and canvas with a waxed finish. The vest's polyester mesh lining features a zippered pocket making it a breeze to attach patches and other adornments while an additional pocket houses a removable CE approved back protector. Finished with plenty of storage pockets and multiple adjustment straps, the Tough As Nails Vest is just as practical as it is tough.